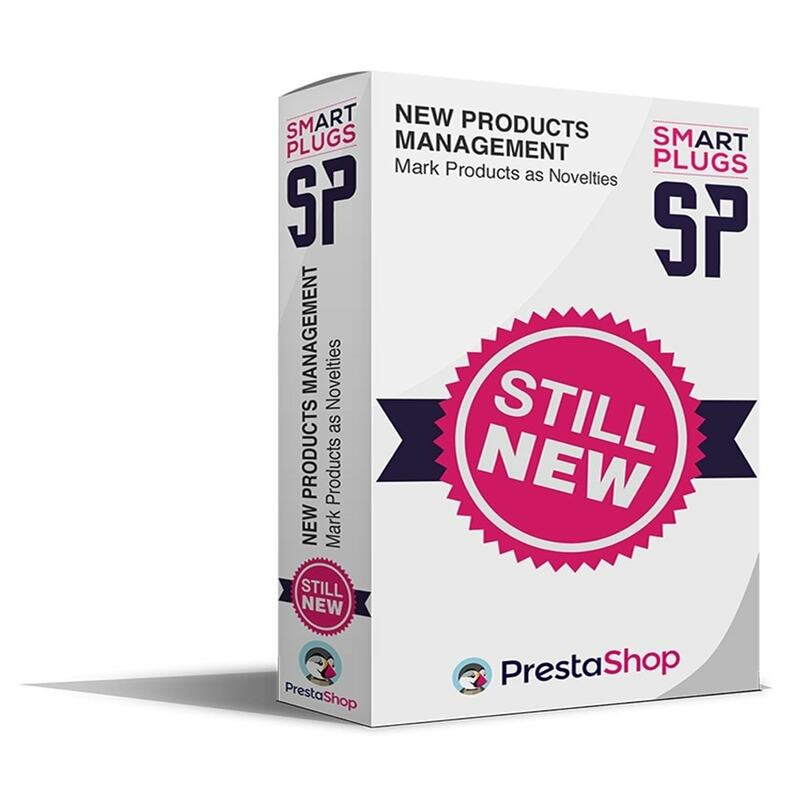 Unlike other modules that only allows to change the product date_add field, New Product Management allows to set the period during which the product will be displayed as new that is way more convenient than the default PrestaShop behavior with the «Number of days for which the product is considered new» parameter. 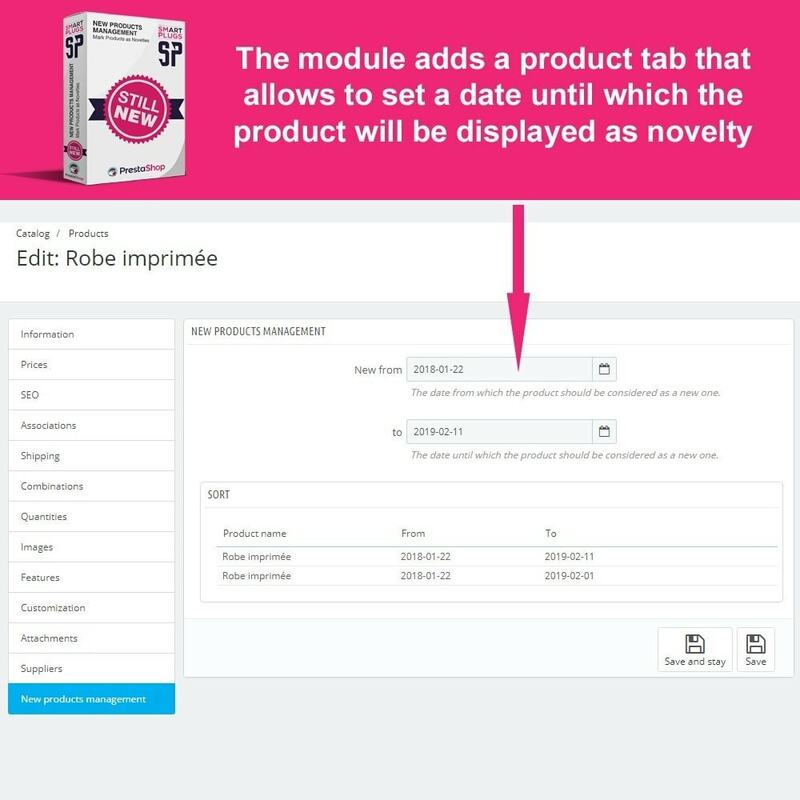 This module allows to display a product as new even if this product had been added more than 20 days ago. Products will be displayed as new on the «new arrivals», «popular», «best sellers» tabs of the home page, on categories, product page, search result etc. 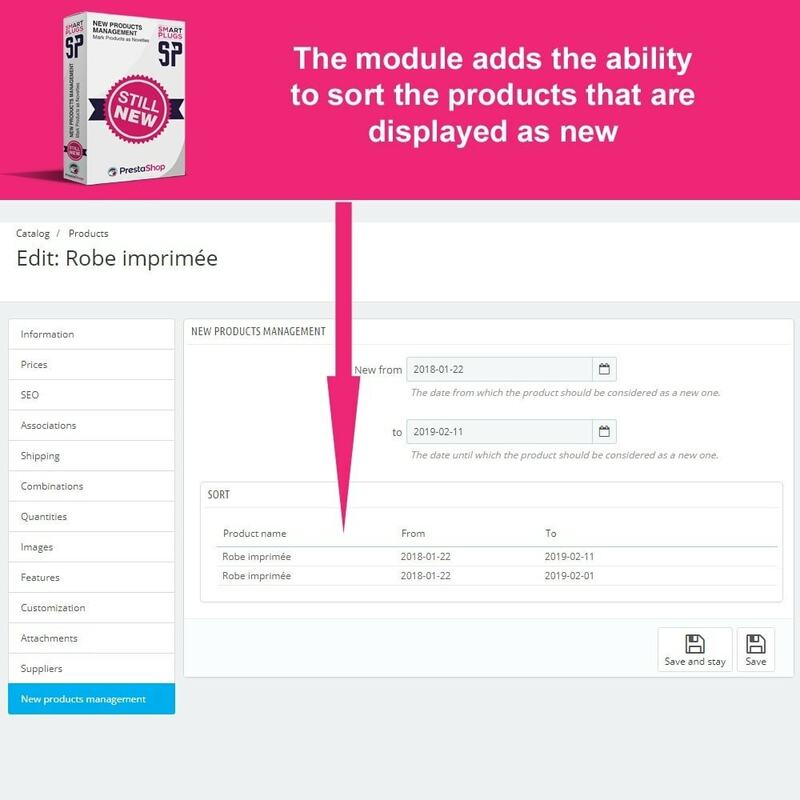 The module also allows to sort the products that are displayed as new. As this module does not use any override it cannot cause override conflict during install.